A valid, signed US passport. 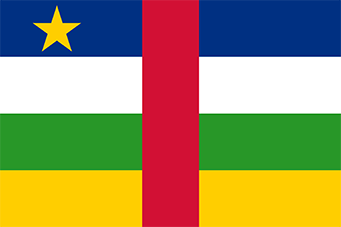 The passport must have at least 6 months remaining after the completion of your stay in the Central African Republic, and contain at least one blank visa page. International Certificate of Vaccination for Yellow Fever is required. One invitation from host in Central African Republic./ Hotel Confirmation. One invitation from host in Central African Republic. Consulate Fees are $150.00 for (3 months) for short stays or with multiple entries $200.00 for (6 month to a year).